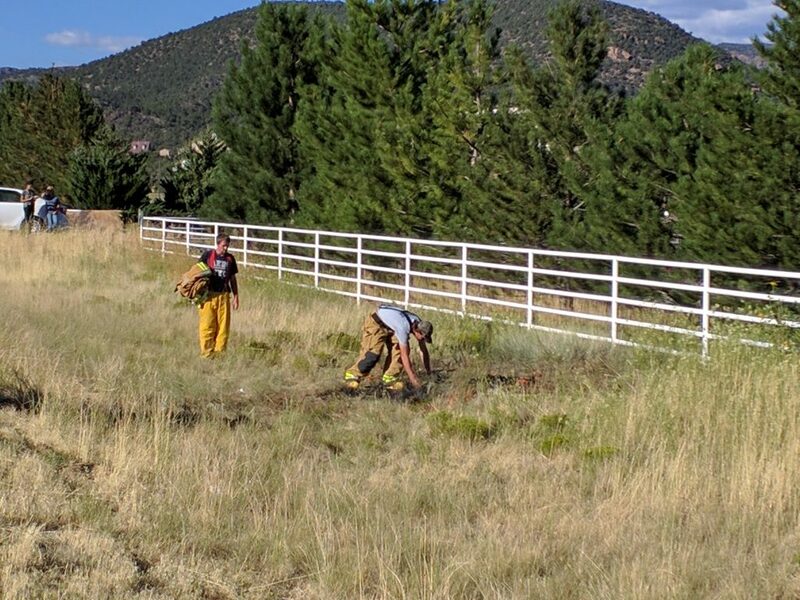 WASHINGTON COUNTY — No serious injuries were reported following a head-on collision on state Route 18 Friday evening that also resulted in a small brush fire. A second rear-end collision followed shortly after when traffic backed up behind the first crash. 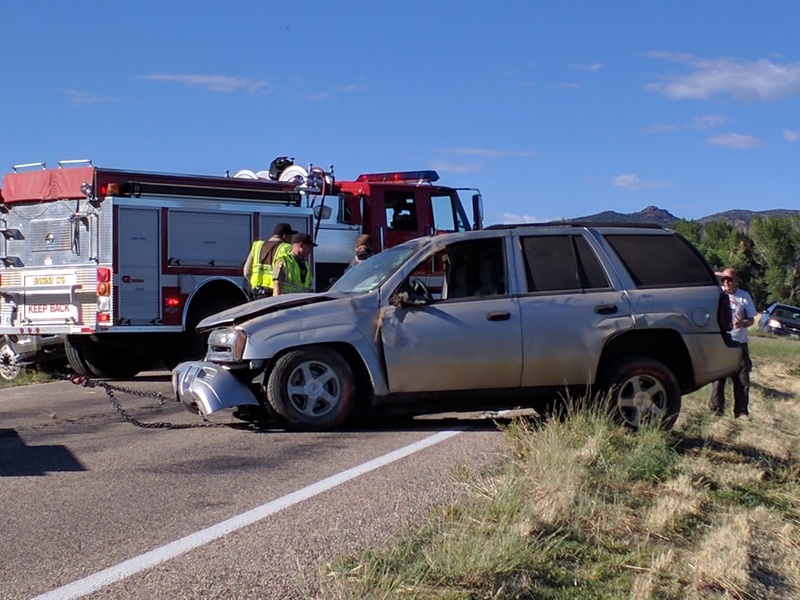 Emergency personnel responded to the initial head-on collision involving a red Chevrolet Impala and a silver Chevrolet Trailblazer at approximately 5 p.m. near Veyo at mile marker 26 on SR-18. The Implala was northbound as the Trailblazer was going south. 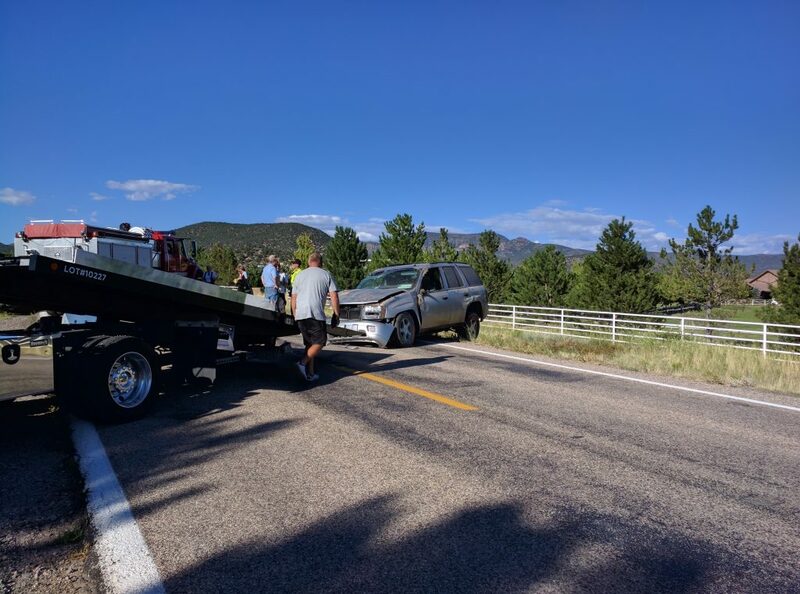 “Our preliminary findings are showing that the trailblazer went into oncoming traffic – so in the lane of that red Impala – and those two collided,” Utah Highway Patrol Trooper Austin Ipson said. 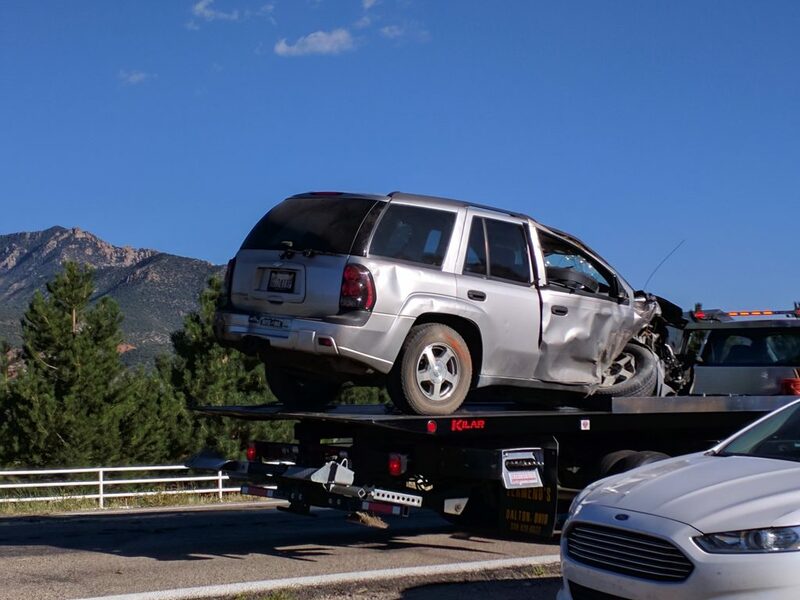 A witness at the scene said the Trailblazer “flew” into the nearby brush where a fire started underneath the vehicle. The witness and other bystanders used a fire extinguisher to put out the flames and helped the driver get out of the SUV. The fire was limited to the small area underneath the Traiblazer, and firefighters from the Northwestern Special Service District arrived soon after to put out any remaining hotspots. The occupants of the Impala were transported to Dixie Regional Medical Center for treatment and evaluation. “From what I heard over the radio, they should come out with minor scrapes and bruises, as well,” Ipson said. The driver of the Traiblazer reported only minor scratches. 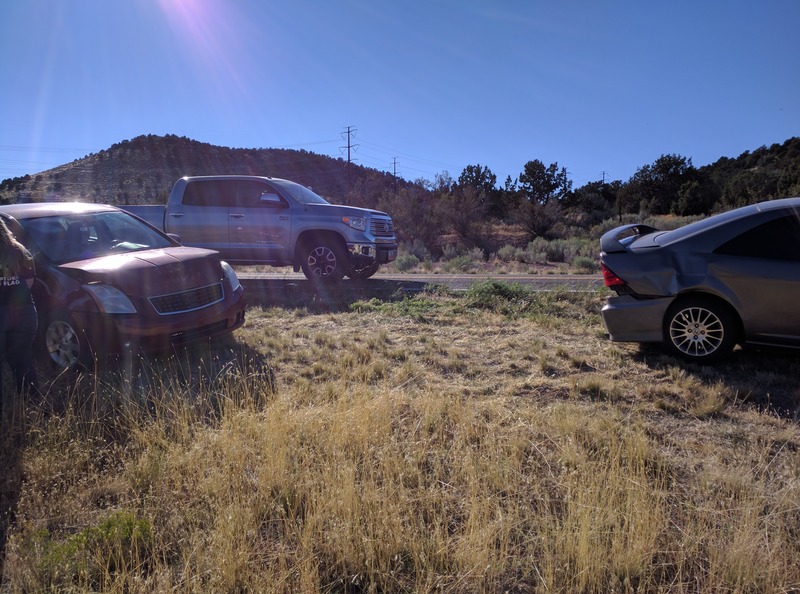 Both vehicles sustained heavy damage in the crash, and Ipson said airbags and seat belts worn by all involved helped them avoid serious injury. 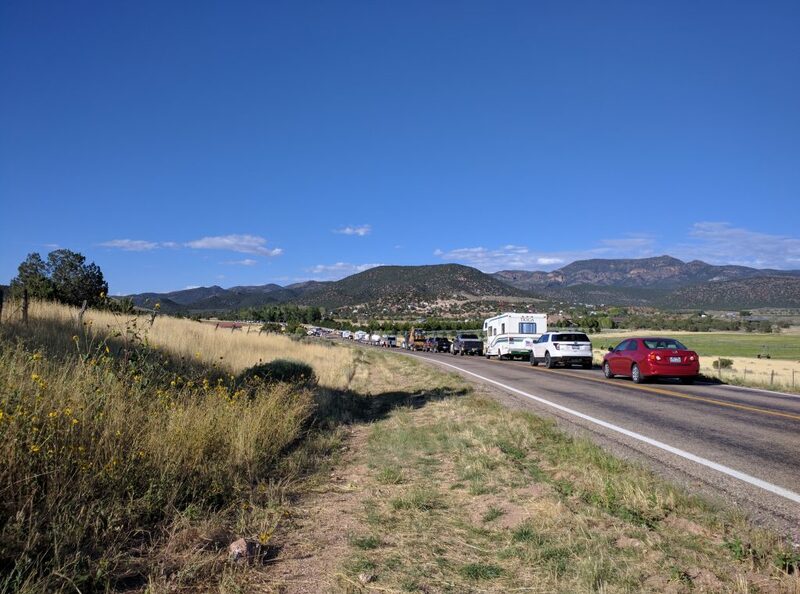 Traffic was blocked for both north and southbound drivers in the area of the crash as emergency personnel worked to clear the scene. As traffic came to a standstill behind the incident in the northbound lane, another collision involving a red Nissan passenger car and a gray Honda Civic occurred at approximately 5:15 p.m. less than a mile south of the initial crash. 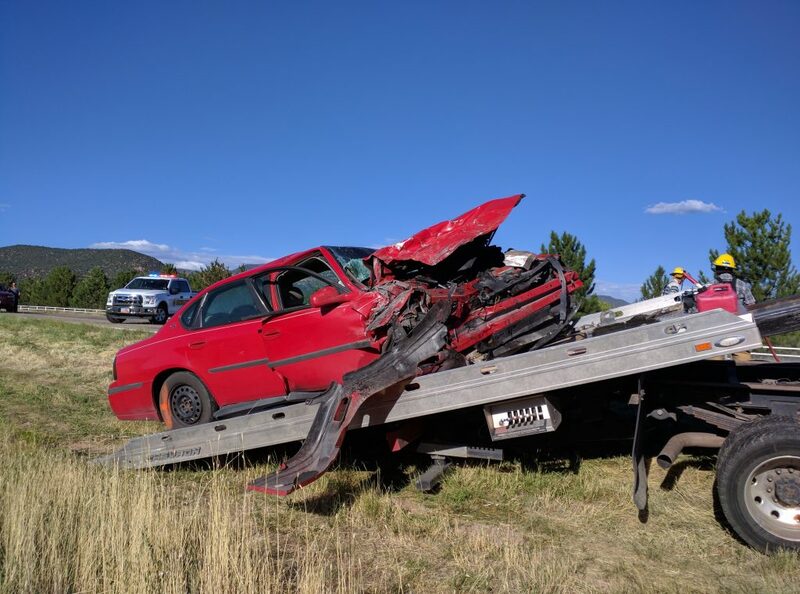 “The red Nissan came from behind and just didn’t stop in time and hit the back end of the Civic just following a little bit too close, maybe just not paying attention to the traffic conditions ahead of her,” UHP Trooper Grant Hintze said. No one was hurt in the rear-end collision. Both cars sustained minor to moderate damage and were able to be driven away. A citation was issued to the driver of the Nissan for following too close. Traffic remained blocked in both directions for around one hour. 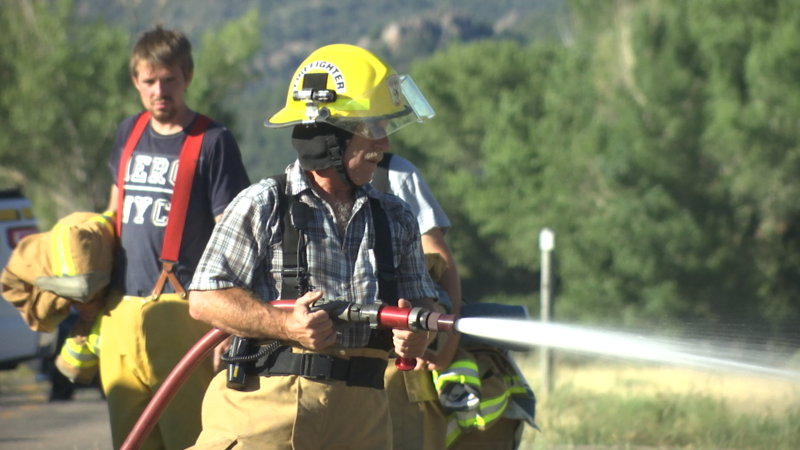 Both lanes were flowing again by approximately 6:20 p.m.
Utah Highway Patrol, Washington County Sheriff’s Office, Enterprise Fire and Rescue, Northwestern Special Service District firefighters and the Utah Department of Transportation responded to the scene of the incidents.